Southeast Asian ride-hailing service Grab expects to raise $2.5 billion in a record round of fundraising to cement its lead over Uber Technolgies Inc in the region and grow its payments platform. Southeast Asia has become a key battleground for technology startups vying for a market of over 600 million people, with a burgeoning middle class as well as a youthful, internet-savvy demographic. Grab's Chinese peer Didi Chuxing and Japan's SoftBank Group Corp, both of which are existing investors, will contribute up to $2 billion to lead the current financing round, it said in its statement on Monday. The firm expects to raise an additional $500 million, bringing the total to $2.5 billion in this round, which it said would be the largest-ever single financing in Southeast Asia. Grab will be valued at more than $6 billion at the close of this round, according to a source close to company. The Singapore-headquartered company said it has a Southeast Asia market share of 95 percent in third-party taxi-hailing and 71 percent in private vehicle hailing. It operates private car, motorcycle, taxi and carpooling services across seven countries in the region, with 1.1 million drivers. "With their (Didi and SoftBank's) support, Grab will achieve an unassailable market lead in ridesharing, and build on this to make GrabPay the payment solution of choice for Southeast Asia," Anthony Tan, group chief executive officer and co-founder of Grab, said in the statement. Building on soaring user numbers of its Grab ride-hailing app and GrabPay function, the five-year-old start-up aims to transform into a consumer technology firm that also offers loans, electronic money transfer and money-market funds. Grab bought Indonesian payment service Kudo earlier this year, and has said it is seeking more acquisitions to support rapid growth. "The heterogeneity of the banking system, multiple competitors in each country, and multiple regulations to meet are barriers to success," said analyst Rushabh Doshi at researcher Canalys. "However, given no single payment solution has been able to work across all S.E. Asian markets, Grab stands a good chance of building market share via its ride-sharing business model, and then extend the payments to other adjunct businesses," he said. Grab competes with the likes of Uber, the world's largest ride-hailing service, and Indonesia's Go-Jek. Tencent Holdings Ltd invested around $100 million to $150 million in Go-Jek, sources told Reuters earlier this month. Grab's fundraising comes at a time when San Francisco-based Uber has been beset by complaints about its workplace culture, a federal inquiry into software to help drivers avoid police, and an intellectual property lawsuit by Waymo, the self-driving car unit of Google parent Alphabet Inc.
Uber has been expected to increase its focus on India and Southeast Asia after retreating from China last year. 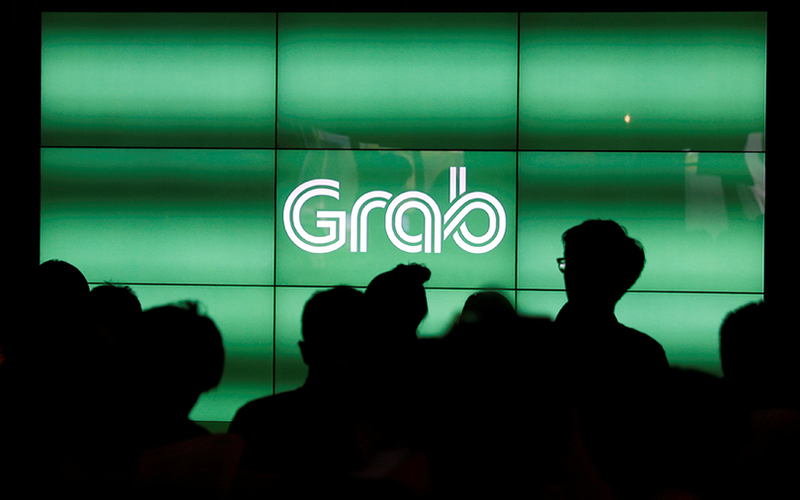 Grab's previous investors include sovereign wealth fund China Investment Corp, hedge fund Coatue Management LLC, venture capital firm GGV Capital, and Vertex Ventures Holdings - a subsidiary of Singapore state investor Temasek Holdings (Pte) Ltd.